This post has been updated with new information. See the final paragraphs in red. There are some issues with my birthday, and not just because it reminds me that I keep getting older. There are a couple of other dates that trouble me as well, but especially my birthday. I believed that the birthday which I had been celebrating every year was the right one, until a few years ago when my oldest sister in Korea told me that it wasn’t. What was written as March 27th in my passport, and in all the papers from the orphanage and the adoption agency, she said, was most probably the 27th day of the 3rd month according to the Chinese calendar, which was in use in Korea at the time. And she wasn’t entirely sure about it being the 27th either. What we think is likely is that whoever arranged the adoption simply wrote my birth date with the same numbers, without bothering to adjust for the difference between the Chinese and Western calendars. This would put my real birth date on April 24th. Maybe. I’m not at all happy with this. I no longer enjoy celebrating my birthday because I can’t be sure whether it really is that, or if it’s just a random day and part of some kind of game. I’m sad and disappointed because I’ve been lied to for so long, and because now I’ve lost one more of the things in my life worth being happy about. This comes in addition to losing my Korean name when I came to Norway, because it didn’t suit my Norwegian adoptive parents. When I was old enough I took my Korean surname back, which didn’t please them at all, and they got quite angry when I told them about it. I guess that what annoyed them so was that I was embracing my Korean background, which they had tried very hard to suppress while I was growing up. On top of it all, a few years ago my adoptive mother died on my birthday, leaving me with yet another ghost to face on this date: The biggest lie ever about my life, the day that my adoptive mother died, and every year a reminder about what I’ve lost … the grief of losing my real parents and what might have been. In the days before my birthday I grow restless and lose my appetite, and become overwhelmed with emotion. I lose my zest for life and only want to sleep, and sometimes I have been crying all day. I can’t prevent or avoid these feelings, they arrive as if on schedule every year, and they seem to get worse with each time. I’m in my forties now, and can barely cope with it, but how will it be when I get older? That’s something that I hardly dare to think about. Someone once asked me, with a smile, why I don’t just take any date, since there are so many to choose from. I wish it would be that easy, but I want to know the truth about myself and my life, and not simply add another lie when there are too many of them as it is. It may not seem like such a big deal to others, but for me it’s serious, and the stuff that goes with it is so painful and heartbreaking, I can’t even describe it all myself. I sense that my subconscious knows far more than I can consciously recall, and that this is the reason why these symptoms return year after year. It won’t heal, because the people I’m missing aren’t just gone but the memories of them are also lost: I can’t remember their faces, voices, how it felt to be with them, and to be comforted, held and loved by them. I only know that they cared for me even though we were sent on different paths in life. I know that they loved me, but it is of little comfort when the days go downhill and I am overwhelmed with grief. I guess that I’m longing for something that I can’t have: a hug, kind words, to see the two who brought me into the world, to learn my whole story and get my life back, to heal my feelings and cure this sense of loss, to feel loved by my parents again, and that I am their little girl. I have recently decided that in the future, starting this year, I will instead celebrate my birthday in late April, partly because it is as close to a proper date as I can get with what little I know, and partly because my partner’s birthday is at that time so that we can celebrate our birthdays together as a double event. Hopefully this way I will be able to enjoy myself, keep my appetite alive to eat cake, and blow out candles and make wishes and not just feel as I’m acting happy, but that I really am happy, and having a Happy Birthday. About a year after I wrote this post, my sister approached me with new information. It turns out that not only was the day and month of my birth wrong, I was also born a year later than I and everybody else had thought. The tiny and presumed undernourished two year old girl in my passport photo was actually a less than one year old baby, a fact that makes several more pieces of the puzzle that is my life, fall into place. My physical development was not a year behind that of other kids my age, I was quite simply a year younger than them! It explains why I lost my teeth at the same time as children assumed to be one year younger than me. My learning difficulties in school were due to my age, because they tried to teach me stuff meant for kids a year older than I was. When I came to Norway, my relation to food was complicated. I was very sick and malnourished, and looked far younger than my two years and in fact I could easily have been taken for a one-year-old. I’ve been told that I stuffed food into my mouth as fast as I could, that I was nervous and afraid that if I didn’t eat fast enough, the food would be taken away. Even after I had emptied it, I would cry if anyone took my plate away. In the beginning, because of being undernourished, I was fed mostly mashed kohlrabi … doctor’s orders, since I needed lots of vitamins and minerals, and this stuff would be good for me. I simply loved it, and I still do to this day. Looking back now, I can understand my eating habits a lot better: I came from an orphanage in Korea, I was sick and tiny, not to mention a girl, so I wasn’t exactly the one getting the most food. Traditionally, in Korea, boys were always considered a blessing, whereas girls were nothing but a huge expense for the family. This view lives even today, especially in the rural areas. Today, as an adult, I tend to cook rather large meals. I’m always a little afraid that it won’t be enough, and I definitely don’t want it to be too little. I’ve recently come to realize that there is a connection between this, and my experiences with food as a little girl; my subconscious remembers the time when I got very little or no food at all. I’ve always enjoyed almost any kind of food and I guess I had no opportunity to be picky, since I couldn’t take for granted that there would even be enough. These days I sometimes prefer more sophisticated meals, whenever I have time, occasion and money, but I also quite enjoy simple traditional dishes. Then there’s hot or cold standing buffets, pastries, buns, waffles, pancakes, nut cake, cheese cake, chocolate cake, marzipan-covered cream cake, a few traditional Norwegian cakes that I don’t know any English names for, sandwiches with all kinds of stuff in them, all sorts of cheese – except very moldy ones – with salty biscuits, chunks of apple, orange or red and green grapes, and paprika of various colours, to eat with hot tea or cold cider. That’s what I call refreshment. Unfortunately I have diabetes, so I have to mind what I eat, especially sugar, and not put on too much weight. This isn’t easy, with so many temptations. Now that summer is closing in fast, it’s nearly barbecue season with all kinds of grilled meats, seafood and salads, and marshmallows on a stick over the charcoals. It brings out the gourmet in me, loving all things good to eat, with a glass of Bailey’s or Amarula, or a cup of tea. Cheers! Gan bae! Skål, everyone! Now and then I have to take a break from my adoption issues. I need to feel that I’m alive, happy and content, even though my life is like a roller-coaster ride. There are days when I have lots of energy, I’ll be baking and doing the house work like a tornado. Then I can do what I love the most, to go fishing, find myself a nice place to relax, watch the waves, feel the warm sun and listen to to the ocean and the seagulls. Those are moment that I treasure, that I feel like I am one with nature, and feel really alive. To be there by myself, enjoy my tea and sandwich, maybe listen to music on my mobile. Sometimes others come to try their luck with the fishing, and we’ll have a chat about the weather or whatever springs to mind. But mostly it’s me and my thoughts, and I will think of my dreams for the future. I really wish for a new place with a garden, where I can work with flowers of all kinds, from roses, marigold and daisies to Japanese lanterns, grow strawberries, rhubarb and herb plants, and have fruit trees with apples, pears, plums and cherries. And in one corner I want a big magnolia. I plan to have a bunny who can graze on dandelions and clovers, a little dog to follow me everywhere with its tail wagging, and my cat will be climbing the trees. Other days I just have no energy to do anything at all. I just want to sleep and forget about my past. Those days are like dark tunnels, and I can’t see any light at the end. Even something as simple as taking a shower seems almost impossible, let alone doing housework, or facing other people. I’m diagnosed with severe depression, as well as post traumatic stress disorder due both to being adopted and to having a difficult childhood. I’m prone to mood turns, and can go from cheerful to deep dark with little or no warning. I have this sore and unbearable empty feeling in my heart, which makes me restless and temperamental. If I was alone I would slam my fists on the walls and scream and howl with despair. I am so sad that my heart could break into thousand pieces over the painful past that keeps coming back to haunt me over and over. It’s more than 40 years since I came to Norway, and I still struggle with being adopted. 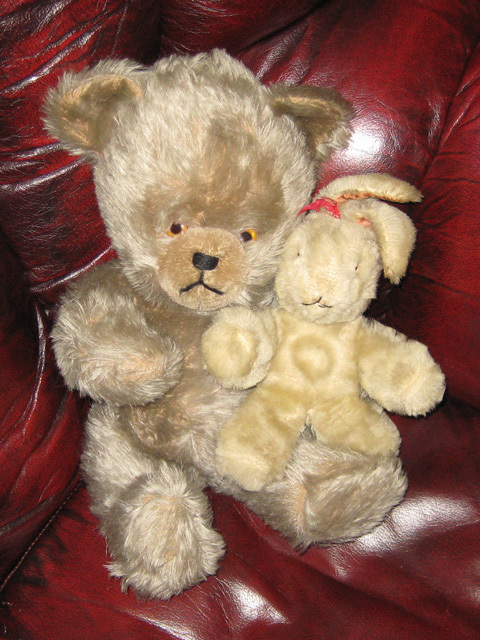 What did I inherit from my biological parents? My looks and personality, my sense of humour, compassion for others, some of the ways in which I see and do things. And what did my adoptive parents give me? Anger, hate, despair and depression. It’s said that we are shaped by the environment in which we grow up. I’ve had to grow protective shields against the verbal and physical abuse during my childhood, shields that now lock me in and make it difficult, and sometimes impossible, to relate to people around me. I hope to peel this protective layer off again, like an orange, to allow the real me to emerge and take control of my own life; to be a person with lots of energy, spend time with friends and family, have barbecue evenings, cook and bake, talk with like-minded people about the big questions in life, from stars, planets and the Universe, to closer matters like adoption; to be myself, and know that I am good enough and appreciated for the person that I am. It’s time for my inner child to come through, to shine and feel that she has accomplished what it takes to be free. Then she would be brave enough to say that “I can do anything, and I am good enough!” Then her handcuffs would at last come off, and the smile on her face would shine like a million stars. In Norway, foreign adoption is still seen as the old cliché, that it is a beautiful, generous and noble act, and that adoptees should be grateful for having been saved and given a good life here. Even in 2012, Norway is old-fashioned when it comes to adoption issues. We need raise consciousness about this, and learn from people like Nancy Verrier, Paul Sunderland, Joe Soll and others who know what kinds of issues foreign adoptees struggle with every day of their lives. A sad, little girl carried a bucket filled with water and petals from the rose hedge a little further down in the garden. She sat down in a hidden corner to make perfume, and dreamt that she was a beautiful little princess, while tears fell into the bucket and mixed with the cold water. She had upset her parents again, and after another round of yelling and beating she would go to this place where no-one could see her cry. She could feel the sore bump on her head, and her burning cheeks. Then a cold nose nudged her hand and gave her a little kiss, a tail was wagging, and the little dog to whom the nose and tail belonged tried to make her happy again. She put her arms around the little lakeland terrier and buried her face in the soft fur, crying out all the tears in the world, until there were none left. She felt utterly alone and abandoned in a country far, far away from home, still dreaming that her real father would come one day to rescue her from these adoptive parents who did not care at all. The fact that they chose to adopt at all made little sense. It wasn’t because they had lots of love to give, or hearts of gold. When she was little, she was just for showing off, and they would brag about how generous they were to give this unfortunate child a better life. Later, when she got older, she was useful for doing the cleaning, like a house maid, and for being someone to blame for everything that was wrong. 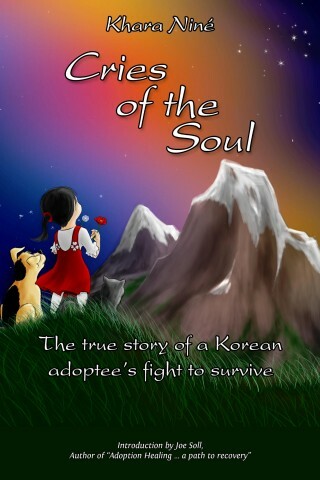 They told her how much money they had spent to get her, good money that the adoption agency in Korea was eager to take in exchange for sending her out of the country, away from home, turning her life from bad to worse. I’ve lost count of how many times I was yelled at, or beaten, or both, and told that I was a terrible child. They said I was full of faults, and blamed it on my bad genes. What kind of parents would say something like that to a child? That I was no good, I was ugly, and it was all the fault of my biological parents. I mean, come on! I’m Asian, I come from Korea; they must have known before they adopted me that this daughter of theirs wouldn’t look anything like them, and that I had a painful history behind me before I arrived here. If they had taken the time to look me deep in the eyes, to get to really know me, they would have found a frightened, hurt and vulnerable child, fighting the shock of being taken from the home she knew to a new and scary place. Instead they treated me like garbage, when they really ought to have shown this little girl lots of compassion and love. Time will heal, they say, but this little girl’s memories have not healed. She still cries streams of tears, wondering what is the worst part; the utter sense of unfairness and injustice, or the longing for real love. As a child, you should be loved for who and what you are, from the bottom of your parents’ hearts, because you are their child, a blessing in their lives and utterly precious. Growing up, there should be room for mistakes, for failures, because that is how you learn. You should be guided and taught, not punished for those little wrong steps, for not knowing beforehand what you are supposed to learn. And as a parent, know that one day that child will blossom, and return the love that you have given. Maybe in the form of bouquets of summer flowers, proudly hand-picked and bundled together; daisies, cowslips, bluebells, buttercups and lots of clovers. Take the flowers, and look into your child’s eyes, see them sparkle with the joy of giving you something beautiful, and when two little arms reach around you, receive and return the loving hug that follows, and know that you have done something right to deserve this. It’s the ideal relationship between parent and child, the feeling of family. She loved picking flowers, but she had learned that there was no point in bringing them home, because they simply wouldn’t be good enough. Only roses would do, or proper flowers from the flower shop; this little hand-picked bundle was just garbage. Her parents would tell her that the flowers she brought them were full of insects, and be angry at her for dragging them into the house. Instead she had found and befriended an elderly couple living nearby, who always appreciated her little bouquets. She felt truly welcome, and was always served warm milk and cookies when she came to visit, as often as she liked. They even let her pick blackcurrants and gooseberries from the garden, to put in a bowl and eat with milk and sugar. God bless them for being so kind. Sometimes she would bring her little bucket with home-made perfume. The old man would smile and tell her that the flowers in his garden would go to a ball in the evening, when everybody else were asleep, they’d be wearing that perfume, and it would be the best flowery scent ever. Of course, most of his flowers were roses too, but she was so fascinated by the thought of a flower ball that she believed him. Sometimes she would help the old lady pick currants and strawberries, which they would feast on together afterwards, with sugar and custard. Then she would climb a huge tree in their garden, usually accompanied by their big, black cat. From high up in that tree, she and the cat could look down at her little haven, the elderly couple’s house, and the beach nearby which she called her second home, a place where she could be just herself. What’s ‘Fair’ Got to Do With It? One day, when I was about nineteen, you were furious at me because the interior heater in your car had been stolen. It was of course my fault, because I had borrowed the car the day before. You told me that I hadn’t locked the car door properly afterwards. So you didn’t speak to me for days, not until I had bought a new heater for what little money I had, and with a little help from a friend. When you came home and saw it you said, quite casually, that it had only been a colleague that had borrowed yours; it hadn’t been stolen at all, you had just forgotten about it. I would simply have to take the one I had just bought for you back to the shop, you said. No apology. No thanks. Nothing. All I got from you was a annoyed, sour look and a dismissal. I see now that you must have been sick in your mind; you were drunk so much of the time, and you treated me badly all along. Why? I never became that fine daughter of yours. You made sure of that, and blamed me for it afterwards. I was supposed to become something great to match your grand expectations, but ended up worthless in your eyes. You always let me know that I was your lifelong burden. Thank you so much for nothing.